San Bernardino residents: If you’re craving some of Marie Callender’s delicious cornbread, or a pot pie or just a slice of apple pie, you’ll have to leave town to get it. Marie Callender’s long-running restaurant on Highland Avenue has closed. 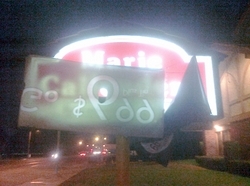 Columnist John Weeks noticed the other day that the sign had been covered by a tarp, so I went by to investigate. Sure enough, the parking lot was deserted and there was a note near the front door informing of the closure. International Sports Bar? Gee, now that sounds like a fun place. OK, this post is not food-related, but it’s a good deal, so we’re passing it along. For those of you who don’t subscribe to either The Sun or the Inland Valley Daily Bulletin (and for those stray Dine 909ers in the San Gabriel Valley, the San Gabriel Valley Tribune, the Whittier Daily News or the Pasadena Star News), today’s the day to subscribe. Over at Groupon, one of those daily deal sites, new subscribers can purchase an annual subscription to the above newspapers (as long as you’re in their delivery area, naturally) for $33, which is a whopping $42 off the regular rate of $75, which is what I paid for my last renewal. To put it in terms you might understand, for about the price of dinner for two at your favorite diner, you can get a year’s worth of your local paper delivered to your door everyday. There’s a hitch, though, there’s a minimum number of deals that have to be purchased for everyone to get the deal. We’re currently just two people away from that goal. On top of that, it’s a limited-time offer. As I write this, you’ve got a little less than 8 hours to subscribe, convince all your neighbors to subscribe and buy gift subscriptions for all your relatives. Oh, and this offer includes the e-edition for free, so you can read the paper whenever you’re online. So hurry…follow this link to save yourself 54%! Update: The deal is on! However, there’s only about an hour left to take advantage of it. It’s no secret that Dine 909 has been obsessed with the new Coca-Cola Freestyle soda fountain since first experiencing it at a Subway in Fullerton. Until now, however, the Freestyle has only been available in certain test markets, including Orange County, San Diego and Coca-Cola’s hometown, Atlanta. That’s all beginning to change. The Freestyle is now available in select locations in Salt Lake City and will be available selected restaurants in Dallas beginning Thursday. Coca-Cola is rolling the Freestyle out to Chicago in August. Can the Inland Empire be far behind? Only time will tell. For more information on the Freestyle, check out their Facebook and Twitter pages. opened on 11370 Fourth St., some of us at the Daily Bulletin newsroom decided to hit up the drive-thru. It was still very crowded. great view of the Marriott. Suggestions of what I should order next are welcomed. That Coney looked promising. Fuddruckers turning 30? Has it really been that long? I remember once upon a time there was a Fuddruckers in downtown San Bernardino, at Second and E streets. Geez…how long ago was that? It couldn’t have been 30 years ago…that’s because Fuddruckers is celebrating their 30th anniversary, but I swear it was close. The Inland Empire has a Fuddruckers again, as the build-your-own burger place opened a while back at Ontario Mills, replacing what was originally a Pat and Oscar’s. You can get a free half- or third-pound Fudd’s Prime burger when you buy one. Just follow this link for the coupon. The offer is good until June 30, so hurry! The ever-in-the-know Wendy Leung (I have to be nice to her…she’s within striking distance tonight) has informed us via her RCNow blog that Sonic, 11370 Fourth St., will open tomorrow (June 9) at 6 a.m. When I drove by on Friday, it looked like they were ready to open. In fact, it was kind of hard to tell that they weren’t already open, other than the lack of cars in the car-hop stalls. The first 25 customers will get a free T-shirt. Also, on their Web site, they’re advertising that if you buy a shake, you can either get a second shake for free or get a coupon for a free shake on a later visit. This deal is good through June 27. I wouldn’t recommend having a shake for breakfast, though. Not unless they can toss some French toast sticks in before they blend it. Click here to read Wendy’s post. Update: Business reporter Rebecca U. Cho has written about Sonic’s opening. Click here to read her story. That’s because Wienerschnitzel has introduced two new limited-time double chili cheeseburgers: The aptly-named Double Chili Cheeseburger and the Double Ultimate Chili Cheeseburger. The Double Chili Cheeseburger ($2.29), includes two patties, two slices of cheese and lots of Wienerschnitzel’s signature chili. The Double Ultimate Chili Cheeseburger ($2.59) ups the ante by adding extra helpings of tomato, pickle chips, mustard and chopped onion to the mix. And if you want to try either of these new burgers, have we got a deal for you. Click here to get a coupon good for a buck off either one. You can’t wait forever, though. The burgers are only planned to be available until the end of July. Update: Chili lovers rejoice! I’ve just been told that the double chili cheeseburgers will be a permanent addition to Wienerschnitzel’s menu. Chili today, tomorrow and forever! However, the dollar off coupon is only good ’til the end of July, so get crackin’! This, of course, is in exchange for your name, email address, birthday and zip code. Well, the reason they want your birthday is that is one of the days you’ll get a free meal on. You’ll also get a free meal just for signing up and another at the one-year anniversary of your signing up. I’ve just signed up for the revolution. If you’re willing to sign up, click here. 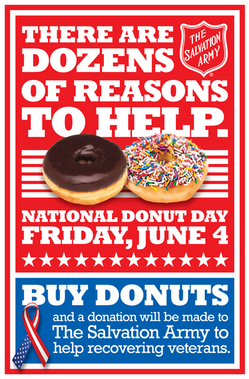 Today (June 4) is National Doughnut Day! Who knew there was a day dedicated to fried dough and sugar? Apparently, the special day, which takes place on the first Friday in June, dates all the way back to World War I, and was begun by the Salvation Army. The day is being marked in several ways. Follow the jump to find out a few. 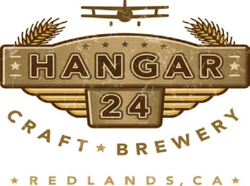 Wildly popular Redlands craft brewery Hangar 24 is having its second anniversary party from noon to 7 p.m. Saturday (June 5). The brewery is at 1710 Sessums Drive. Dine 909 went to the first anniversary party last year and had a great time. Yes, we were one of the few who got to sample the one-day-only Imperial Blood Orange Wheat beer. This year the party is expected to grow considerably. They’re preparing to host 12,000 beer lovers this year. In addition to Johnny’s Tacos, who fed the masses last year, this year you’ll be able to chow down on offerings from Mikan, Chili’s Grill and Bar, Romano’s Italian Restaurant, and Mill Creek Cattle Co. The event will again be a fundraiser for the Redlands Optimist Club. For more information, click here to read Chantal M. Lovell’s article that appeared in this morning’s Sun newspaper. The big question: Just what will be this year’s special anniversary brew? This tweet will give you a rather vague clue.